Have you ever had a specific image in your head that you could never quite replicate and show to others? 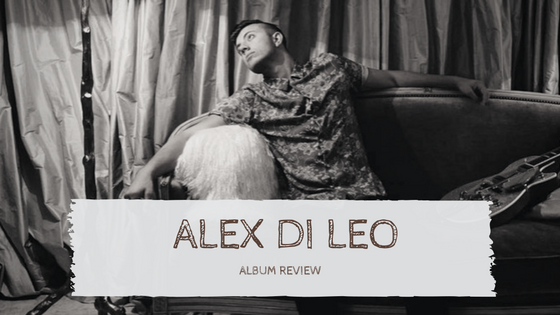 For Alex Di Leo, that’s how the beginning of his solo career was sounding. From receiving his first guitar at ten years old to playing in bands throughout middle school and high school, Di Leo's last two and a half years have been spent trying to figure out his sound. He attempted different genres, he worked with producers that ended up being incompatible, and he still wasn’t able to get the sound he wanted out of his head and into the studio. “No one [seemed] to grasp the concept of what I was trying to create and I think that’s very important for any artist working with a producer. I think the best thing for their relationship is to be on the same page and understand what exactly it is that you’re going for,” Di Leo said. That’s when he found Joshua Diaz. Diaz not only produced Di Leo's EP, So We Go, but he’s also the bassist in Di Leo's live band. After a frustrating yet insightful journey, Di Leo was able to take away what he learned about the recording process and the music industry and bring that knowledge to the new journey that lay ahead. “From the very beginning, we both had the same idea in our head and that definitely made the recording process a lot easier… Overall, he’s an awesome person to have along with the team and I’m definitely looking forward to doing future productions with him and more,” Di Leo said. 2016 has been Di Leo's year of dedication and proving to himself and those around him that he’s still in this, whether it’s in a band or not. He’s taken a lot of chances and demonstrated that he has his sound figured out and ready to move to the next step. Now that he’s found his voice and has been able to transcribe it to an audience, there’s no stopping him now.